Saudi-led airstrikes in Yemen that killed hundreds of civilians may be war crimes, an HRW official told RT, adding that the country has plunged into a “deep humanitarian catastrophe” and calling on the US, UK and France to stop selling weapons to Riyadh. The humanitarian situation in Yemen is “increasingly unsustainable” and urgent action must be taken by both sides in the conflict, he said, adding that the situation is turning into a “deep humanitarian catastrophe,” Ahmed Benchemsi, communications and advocacy director at Human Rights Watch’s Middle East & North Africa, told RT. “More than 3 million people have been displaced in Yemen and more than 80 percent are relying on some form of humanitarian aid. Yemen has the highest rate of child malnutrition in the world now and it is estimated that one in five persons are in severe food insecurity,” he said, citing data from the World Food Program. 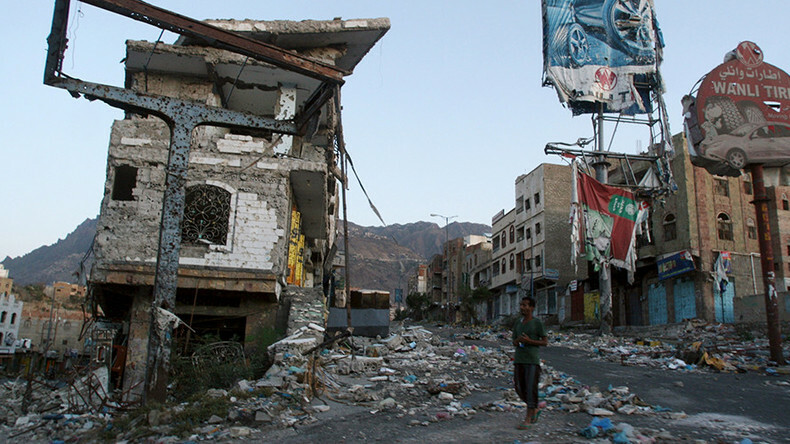 The HRW holds both sides of the conflict, Saudi coalition and Houthi rebels, accountable for human rights violations. 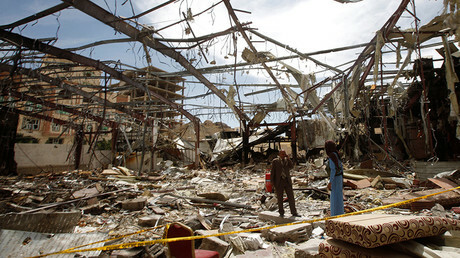 However, a majority of casualties are caused by the Saudi-led coalition, he added, citing UN data. “We ourselves, at Human Rights Watch, were able to document 61 apparent unlawful airstrikes, all conducted by the coalition, some of which may amount indeed to war crimes and that have killed nearly 900 civilians and have hit civilian areas, including markets, schools, hospitals and private homes,” Benchemsi told RT. “Targeting civilian targets is an absolute violation of the laws of war and this is what we [HRW] are closely monitoring in Yemen,” he added. Benchemsi also slammed the blockade “organized by the Saudi-led coalition” and “in some areas” by the Houthi rebels that hinders the access to humanitarian aid. He called on western powers who supply Saudi Arabia with weapons to immediately halt deliveries. Since March 2015, Saudi Arabia has headed an international military coalition whose air operation targets Houthi rebels in Yemen. In February, UN Yemen Humanitarian Coordinator Jamie McGoldrick said that the death toll in the Yemeni conflict has surpassed 10,000 people.